The EU’s tax haven blacklist is due to be finalised by the end of 2017. But the inclusion of countries with zero tax rates has divided member states. EURACTIV France reports. Listing countries with morally dubious tax regimes is bound to cause a certain amount of upset. The task ahead for the EU’s economy ministers is a daunting one. 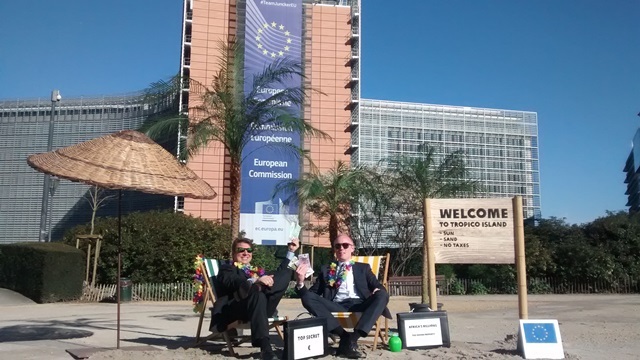 At a meeting of the Ecofin Council in Brussels on Tuesday (8 November), the 28 ministers agreed on the broad lines of the criteria that will govern the European list of tax havens, which should be finished by the end of 2017 at the latest. The EU will now analyse various tax jurisdictions based on these criteria. An initial list of uncooperative states will be drawn up, but the definitive blacklist will not be published until negotiations with these countries have been carried out. So far, the executive has published a list of countries it intends to examine as part of this process. This list of 81 countries, including the United States, “is simply designed to reduce the number of countries the member states will then have to sift through”, a source told EURACTIV. The process is intended to leave the EU plenty of room to negotiate with the chosen tax jurisdictions. “But in the end, we cannot discount the possibility that there will be no blacklist at all,” said Manon Aubry from Oxfam France. 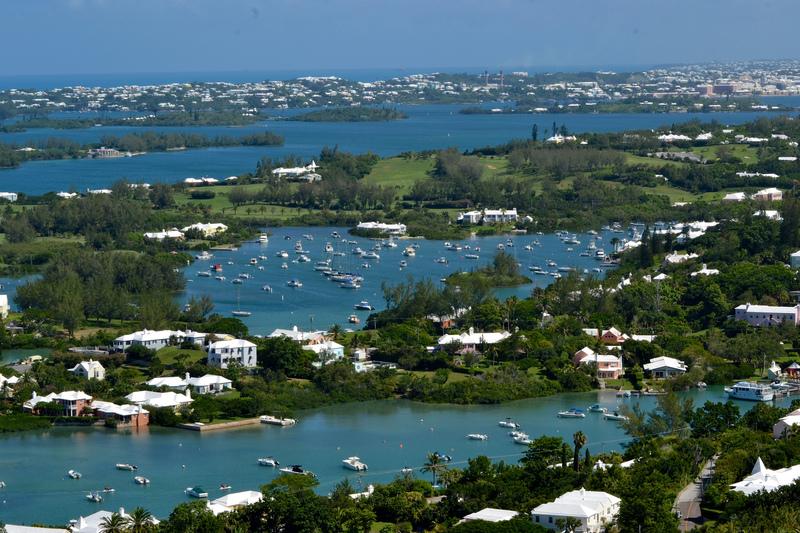 To add to the uncertainty surrounding the project, discussions have stalled over whether or not to include jurisdictions practising a zero tax rate, like Bermuda. Member states were deeply divided over this question, with some concerned not to encroach on the fiscal sovereignty of independent countries – a highly sensitive issue in Brussels. “This is an area that can cause a member state to use its veto,” said the Slovakian Minister for Finance, Peter Kažimír, whose country currently holds the rotating presidency of the EU. “We managed to find a solution because the Code of Conduct group is charged with evaluating zero tax regimes as facilitators of offshore structures,” he added. The Code of Conduct group is part of the Ecofin Council responsible for analysing tax measures and their transparency. “Blacklists of this kind can only be effective if they are based on objective and comprehensive criteria,” said Aubry. “These absolutely must include measures or tax advantages aimed at allowing companies to reduce their tax bills, notably zero business tax rates,” she added. The EU’s blacklist initiative has been broadly welcomed, but NGOs have already criticised a number of shortcomings. The list will not improve the situation within the EU itself, as it will only contain third countries. “The EU has already said the list will not include its own members. That means it will not cover several EU states identified by Oxfam as tax havens, such as the Netherlands, Belgium, Ireland and Luxembourg,” the NGO said. New European Union rules to force multinational companies to publish their tax bills were criticised on Tuesday (12 April) by campaigners for being too weak to stop tax-dodging corporations hiding their profits. Some of the EU’s closest partners, including Switzerland and the United States, have far from exemplary tax regimes, but are unlikely to end up on the final blacklist for political reasons. But despite the uncertainty surrounding the zero tax rate and the political difficulties associated with listing some countries, an EU-wide list would represent significant progress compared to the current situation. “Even if the list is highly political and incomplete, it will still be useful,” Aubry conceded. Today, tax haven blacklists are based only on transparency criteria, which lets many dubious tax jurisdictions off the hook. The OECD’s list of uncooperative tax havens has been empty since 2009, after the removal of Andorra, Liechtenstein and Monaco. Tove Maria Ryding, Tax Justice Coordinator at the European Network on Debt and Development (Eurodad), said, "The process for blacklisting countries remains highly political. The first thing the EU decided was that no EU countries can ever get blacklisted, despite the fact that several EU Member States are currently acting as tax havens. In the previous blacklist, 'EU friends', such as Switzerland and the United States, were also protected from blacklisting. This kind of double standard will not solve the problem, since tax dodging will just move from one tax haven to another. Furthermore, the EU won't gain much credibility if the Member States can only agree on pointing fingers at other countries, but not get its own house in order." Aurore Chardonnet, Oxfam’s EU tax expert, said, “The EU has copped out on making real strides today in the fight against tax abuse by adopting subjective criteria for a much anticipated and politically contentious EU tax havens blacklist. Opacity remains the name of the game as it is being reported that EU Finance Ministers also decided to keep the list of countries they want to screen for tax abuse secret.